A Wellhead Berm Prevents Soil Contamination. Oil or chemical spills bring potential dangers to the local ecosystem and can also cause huge fines from the Environmental Protection Agency or EPA due to the violation of their spill containment regulations. A major oil spill will be hard to contain without proper tools and spill preventive measures. An oil wellhead berm is an economical solution. It's like a drip pan that surrounds the wellhead. The process of cleaning also requires not just a huge amount of time but also requires a considerable amount of money depending on the scope of damage during the spill. An immediate spill response is needed. If the oil touches the groundwater, it will inevitably contaminate most plants and possibly animals. It will take some time for the land to recover. This kind of disaster also poses a serious threat to workers and in down time of oil and gas production. Or worse, a full evacuation of the facility. The workers who will be assigned to the cleanup might acquire health problems if proper personal equipment is supplied. Oil spills may strike at any time so preventive measures and a solid plan to avoid a disaster is needed. Our Oil Wellhead Berm is a containment berm engineered to provide protection from drips and spills coming from wellheads. To ensure the safety of the workers as well as the environment from danger. This secondary oil containment berm is designed using a heavy-duty material called Copolymer 2000™ that is tough enough to withstand all kinds of harsh oilfield conditions, allows for a 360-degree complete protection, and offers excellent resistance to any chemicals. The 4-inch high berm foam wall is covered with the Copolymer 2000 material. Copolymer 2000™ exceeds its competitors when it comes to compatibility with most of the known chemicals being used in the oil industry. Since EPA guidelines require that spills must be cleaned up within the day and secondary containment facilities must be inspected at least once a week, Copolymer 2000™ ensures effectiveness in keeping spills intact within the containment. The Wellhead Berm forms an impermeable barrier from the chemical or oil spills from the ground beneath. Very useful when servicing wellheads. The wellhead berm provides a liquid-tight seal feature, thanks to its weighted flap that bridges the gap between sections. 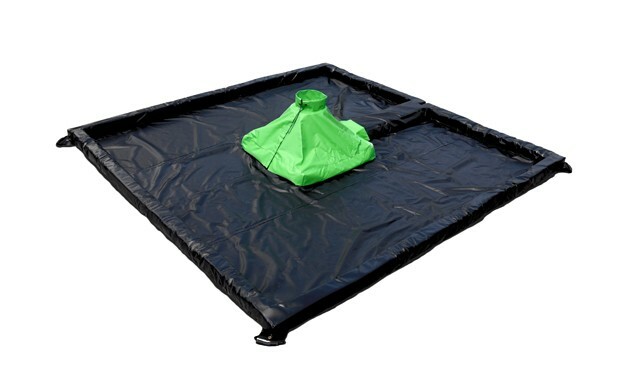 To further lessen the ground exposure from oil or chemical spills, the secondary oil containment berm also comes with an optional hood that uses a drawstring and a hooks-and-loop closure for the wellhead to be securely wrapped. The Wellhead Berm Hood is a 24-inch tall spill berm accessory that comes with an adjustable collar. This collar closes to a 10.5 inches diameter opening. The wellhead hood is so easy to install due to its weighted perimeter base and ensures that the hood will stay in place. The standard height of the containment wall perimeter is 4 inches with a containment capacity of 217 gallons, and its weight is 51 pounds without a hood and 63 pounds if it comes with a hood. Outer dimensions are 10.5 x 10.5 inches while the inner opening inside dimensions measure 24 x 24 in inches. Effectively capture, collect and contain unwanted drips and spills from wellheads. Made of heavy duty, highly chemical resistance materials (Copolymer 2000™) for harsh oilfield conditions. 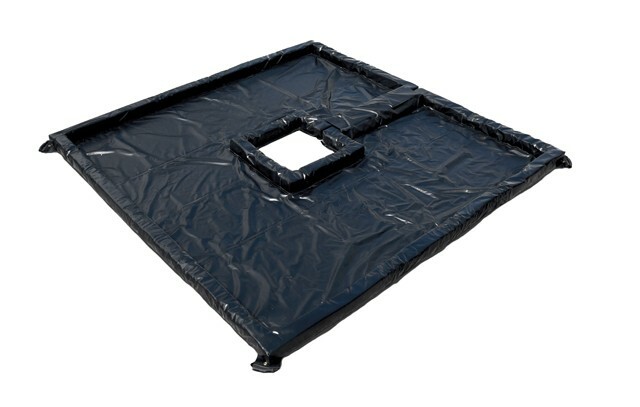 Comes with an optional Oil Wellhead Berm hood to wrap the wellhead to add more security against drips and spills. Regulators and local governments require all oil and gas drilling sites to have containment facility and tools to prevent unwanted oil spills that could contaminate the environment and expose their workers to health risks. Having a secondary oil containment product is a must-have for companies operating oil rigs and is imperative to giving priority to overall safety. A secondary oil containment berm is an essential tool for spill prevention that will significantly help in achieving a safe and environment-friendly workplace. This oil wellhead berm is made using state-of-the-art rotational molding machines and assembly operations assuring outstanding quality, and it is now highly recommended globally. Helps you comply with Spill Prevention Control and Countermeasures or SPCC. 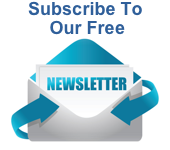 Don’t forget to order absorbents and spill kits to use with your Oil Wellhead Berm. Why worry. Ground is protected from spills or leaks. Oil Wellhead Berm - Dimensions: Outside 10.5 feet x 10.5 feet. Inside Inner Opening 24 inches x 24 inches. Wall height 4 inches. Oil Wellhead Berm with Hood - Dimensions: Outside 10.5 feet x 10.5 feet. Inside Inner Opening 24 inches x 24 inches. Wall height 4 inches.